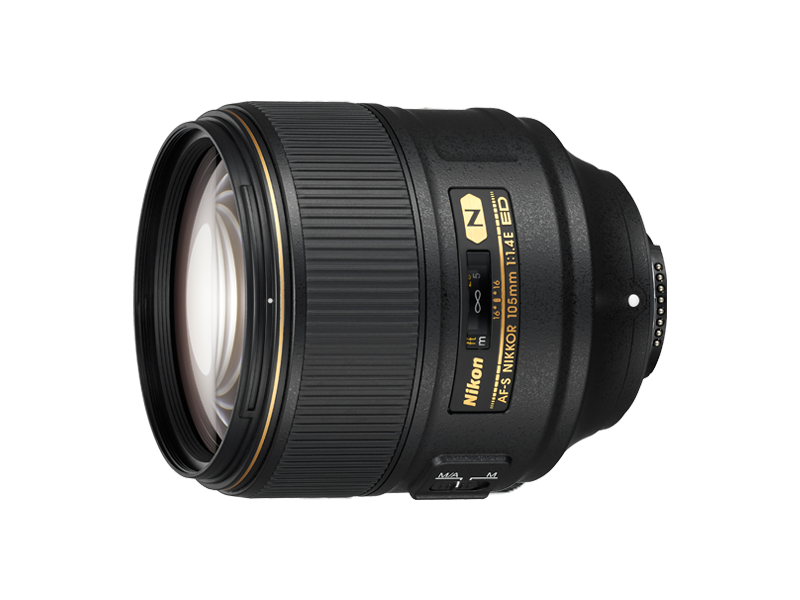 Nikon's traditional 105 mm lens featuring fast f/1.4 maximum aperture that provides a large and beautiful bokeh effect with smooth alteration from the focus plane, ensuring natural depth of subjects, via the embodiment of NIKKOR's unique design concept of "three-dimensional high fidelity", is now realized while also incorporating an AF system, making it "the one-and-only prime lens". Artistic image expression is achieved with a large bokeh effect via a shallow depth of field created by the 105mm f/1.4 optical system, moderate telephoto compression effect, impressive scene capture utilizing an appropriate angle of view to emphasize the subject, and a fast f/1.4 aperture that reliably supports comfortable composition with the bright finder image and allows the use of comparatively faster shutter speeds enabling handheld shooting even for low-light scenes. Superior optical performance provides high resolution even in the peripheral areas, sharp rendering of distant subjects even at the maximum aperture, and high reproduction capability of point light sources in low-light situations. The employment of three ED glass elements reduces chromatic aberration (especially axial chromatic aberration), while Nano Crystal Coat effectively minimizes ghost and flare effects. The latest design technology realizes an original optical system of 105mm f/1.4 with AF, and stable AE with highly accurate diaphragm control even during high-speed continuous shooting, via the adoption of an electromagnetic diaphragm mechanism. Fluorine coat with high antifouling performance for easy maintenance.